The grant from the U.S. Economic Development Administration will be used to help launch a regional investor collaborative. TAMPA – Tampa Bay Wave, the leading technology accelerator in Tampa Bay, has been awarded a $300,000 grant from the U.S. Economic Development Administration to help launch a regional investor collaborative. 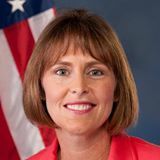 The announcement of the grant was made Wednesday (Dec. 5) by U.S. Rep. Kathy Castor, D-Tampa. Tampa Bay Wave is a nonprofit with a mission to help local entrepreneurs build, launch, and grow breakout tech companies in Tampa Bay With the Wave Accelerator Program and Venture Center, Tampa Bay Wave provides tech startups with educational resources, flexible office space, mentorship, and strategic introductions to help them accelerate business growth. Launched in June 2008, Tampa Bay Wave supports more than 100 early-stage tech firms today from the initial development stage to the point where they become second stage companies. Wave takes no equity from the startups it serves. The Venture Center is Tampa Bay Wave’s 10,000 square foot innovative co-working and incubation space located in the heart of downtown Tampa. Home to nearly two dozen tech startups and dozens of crazy tech-talented coworkers, the Venture Center is an integral part of Tampa Bay’s entrepreneurial ecosystem. While Tampa Bay has a strong foundation of support for entrepreneurs, organizations such as Tampa Bay Wave are looking to continue momentum and success. Castor has championed multiple federal grants to grow and support Tampa Bay Wave, and bring job creation, innovation and higher wages to Tampa Bay. In 2012, Tampa Bay Wave received the first i6 Challenge Grant of $1 million from the U.S. Economic Development Administration. Matching contributions from public and private community partners raised another $1 million. In 2015, the Tampa Bay region received its second i6 Challenge grant of $500,000 issued to the University of South Florida, in partnership with Tampa Bay Wave. Since 2015, Tampa Bay Wave has also been recipient of multiple Growth Accelerator Fund Grants of $50,000 from the Small Business Administration.